In the first two scenarios Belo Monte appears feasible, with net present values in the range of US$1.5 billion and rates of return in excess of the 12 percent discount rate used in this analysis. The third scenario reveals drastically different results, with large scale economic losses resulting from the project. This outcome is due to the much lower firm generation predicted by the HydroSim model for Belo Monte as a stand-alone development in the Xingu Basin. The model underscores the need for more water storage to take full advantage of the massive Belo Monte power plant. To gain a fuller picture of various potential outcomes of the Belo Monte investment, we conducted risk analysis, allowing variation in several of the parameters most important to the project’s feasibility. The first simulation brought together the risks of cost overruns, construction delays and lower-than-expected generation. The combination of these risks leaves the project with minimal chances for economic success. In our most optimistic risk simulation, maximum construction delays were limited to three years, the Eletronorte power generation forecast was used and more positive energy price variation was permitted. Even under these conditions, the chances of breaking even are only 40 percent. These results lead us to an inescapable conclusion: whether or not Belo Monte is feasible as a stand-alone project, it will create enormous pressure to build upstream storage dams with much larger reservoirs. These figures make highly unrealistic the scenario of a “sustainable” Belo Monte – a single, highly productive reservoir flooding a small, already impacted area. Therefore, if Belo Monte is built, we must consider a fourth, much more likely scenario including at least one additional dam, at the Babaquara (also called Altamira) site. The original design for this dam called for flooding of 6,140 km², which is 14 times the size of Belo Monte’s reservoir. 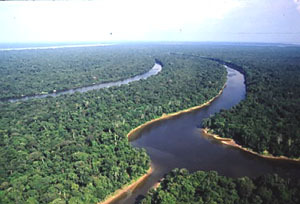 The area of flooded forest would be 30 times greater than that submerged by Belo Monte. Altamira/Babaquara would flood parts of the Xingu National Forest and the following indigenous territories: Araweté/Igarapé Ipixuna, Koatinemo, Arara, Kararaô and Cachoeira Seca do Irirí. This study underscores the importance of forming a participatory consensus, based on clear, objective information, on whether or not to build the Belo Monte Dam. The concept of “clean, cheap, and renewable” energy needs to be updated in order to promote energy development that is truly sustainable under a more comprehensive set of criteria.